Aeration is one of the most important maintenance practices we can do to help your lawn remain healthy and ward off problems. Compacted soil and heavy thatch are the two biggest challenges to a beautiful lawn. The cores you see on your lawn after aeration will break down gradually over the next week or two. This natural return to the soil helps hold the thatch to a desirable level. It really should be a regular part of your lawn maintenance program. Increases air, water and nutrient to the roots. During drought conditions, aeration helps water reach thirsty roots. 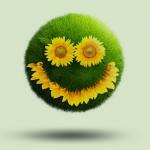 Increases the effectiveness of applied fertilizers. Spring and especially fall are the best times for aerating turf. We highly recommend doing this at least once a year. 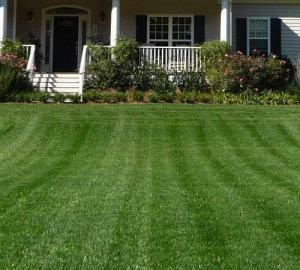 Aeration is a relatively low cost service that can enhance your yard and leave you with beautiful-looking turf. Sam, nice job on the newsletter and front entrance idea! Lawn sod looks awesome and where you guys aerated looks great. Thanks for your great service and follow up. 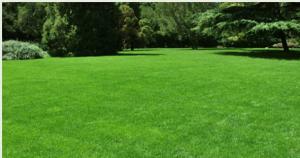 Overseeding your lawn will help to fill in sparse areas in your lawn where the grass has died off. Our professionals can top dress, aerate, and overseed your lawn resulting in a more lush and healthy lawn which will make your yard the envy of your neighborhood. Request a FREE Estimate on Aeration and Overseeding! You’ll hear from us shortly.